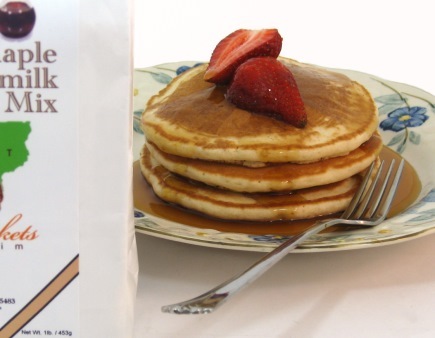 Maple Buttermilk Pancake Mix, 1 lb. pkg. Old New England Maple Coffee, 12 oz. pkg. 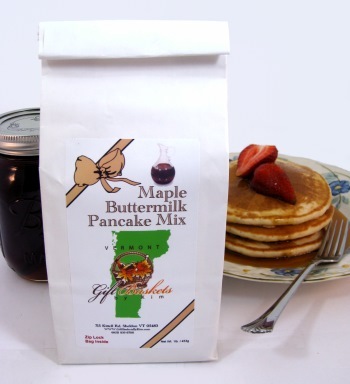 Developed exclusively for our customers here, and our customers on our sister site PIECES OF VERMONT, this Maple Buttermilk pancake mix is packaged by us. 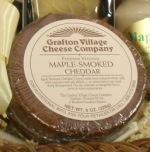 The package contains ingredients to make what we truly believe are outstanding maple flavored pancakes. For years we purchased mixes wholesale - they were OK at best, and very expensive. Finally we decided it was time to package our own pancake mixes, and offer something a little different. After all, when you sell the best pancake syrup, Vermont maple syrup, it's only fitting that you also offer the best pancake mixes. You'll find that we didn't skimp on the powdered maple flavoring. Each package contains a 1 lb. sealed package of buttermilk pancake mix with maple flavoring. Simple Pancake Recipe included - For perfect pancakes, simply combine 2 cups mix with 1-1/2 cups cold water, and cook using pre-heated 375 degree skillet. No eggs necessary. What could be easier? Combine this pancake mix with our Quart Jug of Vermont maple syrup, and some fresh fruit as a garnish, and you've got the makings for an outstanding breakfast! Please note: Packaged using equipment that makes products containing wheat, eggs, milk, soy and tree nuts.